I love this simple allowance story in the Wall Street Journal. It has all of the perfect elements: delayed gratification, goal setting, responsibility, extra effort, mentorship, and ultimately achievement. There’s even a surprise bonus for patience at the end. Read 7-year-old Gavin’s story here. Every kid should have this simple but invaluable experience. 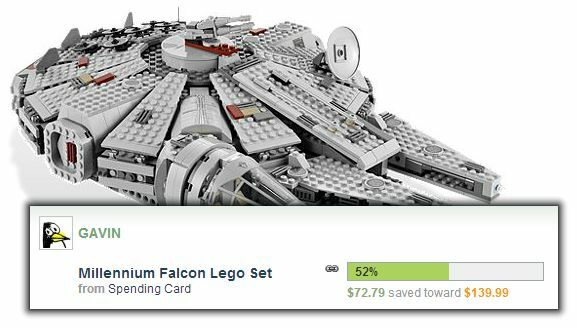 May the force of good money habits be with your kids — make a savings goal today! Related FamZoo Activity: Teach your child to make a savings goal. The grocery store is a great place to have the wants/needs discussion. Put your kids in charge of simple, well-defined budgets (back-to-school, party, clothing) to gain essential financial decision making experience. Create job opportunities for your kids to earn extra funds. Read the details and check out Shannon’s blog here. Related FamZoo Activity: Teach your child to budget. Q: When should you start teaching kids about money? A: When they’re old enough not to eat it. That’s the suggestion of one expert consulted for this article. I like it. Start early! The article provides a set of age-based goals to set with your child when it comes to learning how to handle money. It covers ages 6 (e.g., “learn to make change”) to 18 (“understand credit cards and other forms of debt”). Note that the first goal in the 11 to 13 range matches this week’s theme: set up a savings plan. Check out the complete list here. It’s also interesting to compare the Family Education list with the age-based money milestones put together by the President’s Advisory Council on Financial Capability. You can find the latter on the Money As You Grow site here. I agree with the Money As You Grow folks: kids can learn to make savings goals well before their tweens. In fact, many are ready as early as age 3 (see Milestone #3). Is there a way to delete a savings goal on FamZoo either once it is met or if a child changes his mind?